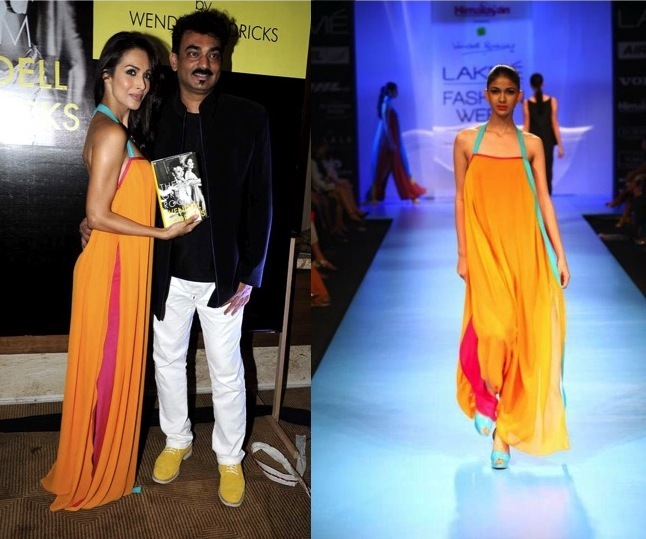 Malaika Arora Khan unveiled 'The Green Room' along with Wendell Rodricks, dressed in a creation by the designer's latest "Timeless" collection. Loved this dress on the runway styled for the beautiful colors. It looks great on Malaika Arora Khan as well.